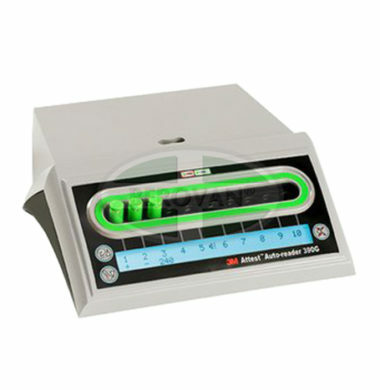 Auto-reader for use with 3M™ Attest™ Rapid Readout Biological Indicators and Process Challenge Packs for Steam. 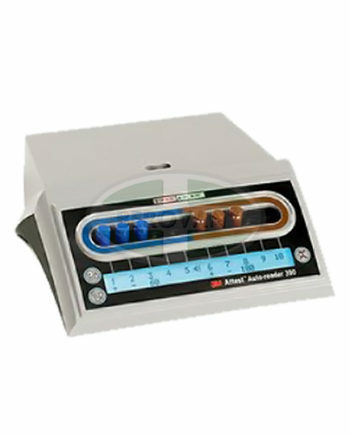 Replace the 3M™ Attest™ Auto-reader 290. Includes ethernet cable for web app connectivity. The 3M™ Attest™ 390 Auto-reader for Steam reads the fluorescence produced by positive 3M™ Attest™ Rapid Readout Biological Indicators 1291 and 1292 to indicate a sterilization process failure. Featuring advanced electronics and backlit LCD panel, the 3M™ Attest™ Auto-reader 390 turns up the dial on reliability and accuracy. It gives you even more confidence in your efforts to ensure patient safety. Featuring advanced electronics and backlit LCD panel, the 3M™ Attest™ Auto-reader 390G turns up the dial on reliability and accuracy. It gives you even more confidence in your efforts to ensure patient safety. Copyright © 2017. Berovan ® Marketing Inc. All Rights Reserved.